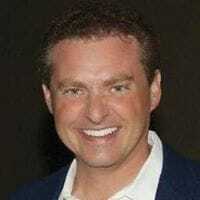 In this episode, Dave is excited to welcome Mike Koenigs. Mike is a serial entrepreneur, 10 time #1 best-selling author, speaker, and interactive online personality and entertainer. Dave first met Mike almost 10 years ago when he was on the cutting edge of building your brand online with video. Mike, literally pioneered video marketing and a host of other online marketing mediums. Just about every personality from Tony Robbins, Paula Abdul, and Hollywood A-listers like Richard Dreyfus have sought out and worked with Mike. He’s won the "marketer of the year award", sold 2 businesses to publicly traded companies, and is a very active philanthropist. This episode is really a special treat as Dave and Mike go deep into a number of areas from Mike's background and his amazing story, to what he sees coming in the future (that you absolutely need to aware of), and some of the best advice you get for building a business and brand online. Mike grew up in a small town in Minnesota. Mike learned at an early age to be self-sufficient and loved to make stuff. He did not do well in school because he is a very kinesthetic (hands on) learner. He started coding at 14 years old and was a young hacker. He started his first business at this time, but was always interested in movies and music. He took this love and started an online advertising agency called Digital Café, one of the first online, interactive businesses. Mike started using video on the web years before Youtube ever existed. He figured out how to hack search engines and video search engines to get traffic. He turned this into a “push-button” system called Traffic Geyser and a secondary texting product called Instant Customer. Mike was diagnosed with cancer in 2012 and had to make serious changes to his life. He sold some of his businesses, got through cancer, and then started again, becoming a multi-time best-selling author and building a new set of businesses. What was the tipping point of success? Mike had a low point where he was over $250,000 in debt, went through a divorce, and living off of credit cards. It was at this time that a friend of his introduced him to Tony Robbins. Mike took everything he had left and joined Tony’s programs and went to an event. Within 6 months he had turned his life and business around and a year later, a billion dollar firm bought his company. Mike says he found a great mentor and invested in himself and was willing to take a radical risk. Ironically, a few years later, Tony came to Mike for help in setting up his studio and marketing online. Mike talks about how important it is to stay in the game and how important it is to develop business management skills. At the 25 min mark, Mike talks about the evolution of doing business online and gives his advice for those starting out today. At the 34 minute mark, Mike talks about the revolution of video marketing and how it is changing everything and gets into what is coming and how you can take advantage. You must be able to rapidly prototype something, get it in front of a market, and test it. #1 thing needed for a successful product launch? Best tip to grow an audience or list? Biggest NOT TO DO in building your brand online? What is the biggest lesson learned from your cancer experience? Mike wants to hear from you! Email him at mikekoenigs@gmail.com and let him know what part of the interview spoke to you the most. Mike wants you to have a free copy of his book, Publish and Profit. Just make sure to email him at mikekoenigs@gmail.com and request it. This book will give you a great system to share your ideas with the world. Become a mentor. Innovation and leadership is the key to prosperity and success and our future. Find someone that you can mentor and serve that you can help have a greater impact on the world.